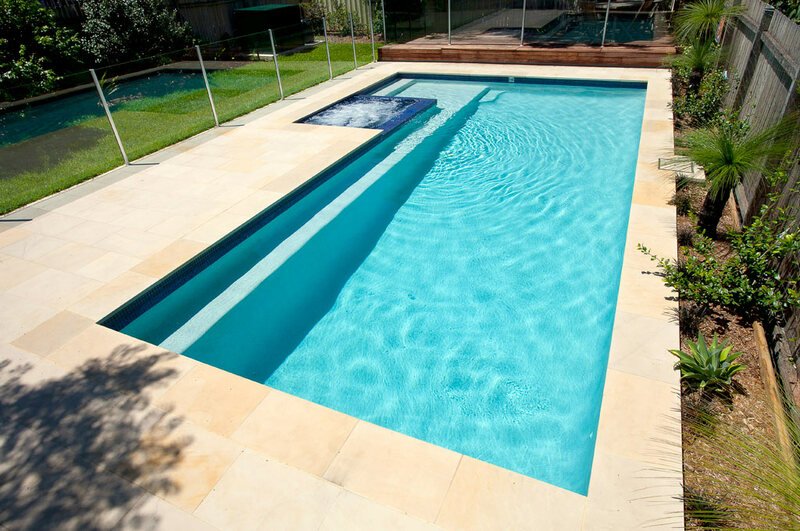 This combination swimming pool and spa features a fully tiled spa and a pebbled pool creating a dynamic contrast between them both. 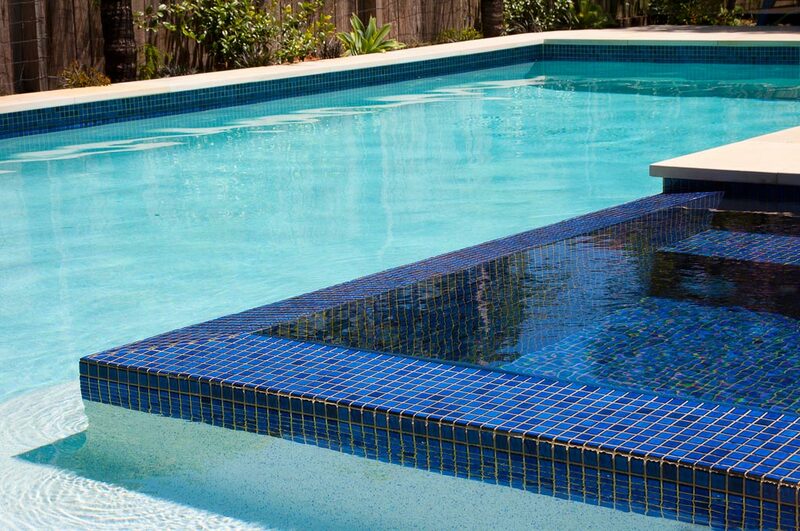 The spa and entry alcove have been tucked away from the body of the pool enabling maximum usable area for swimming. 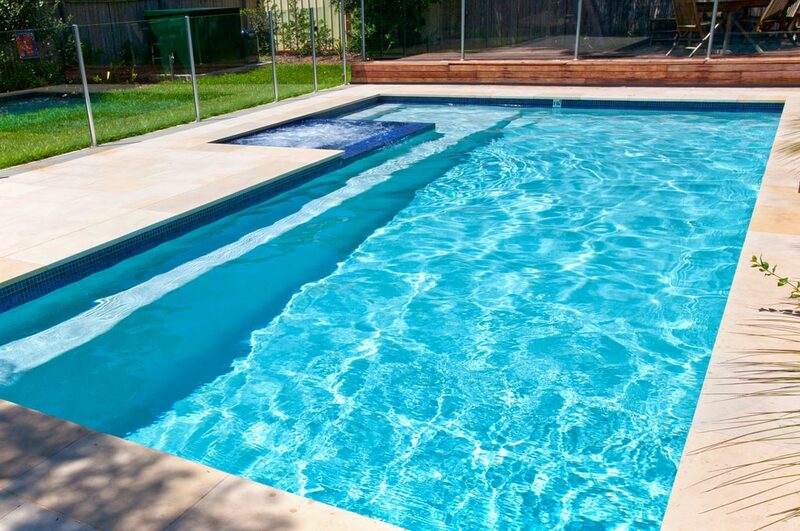 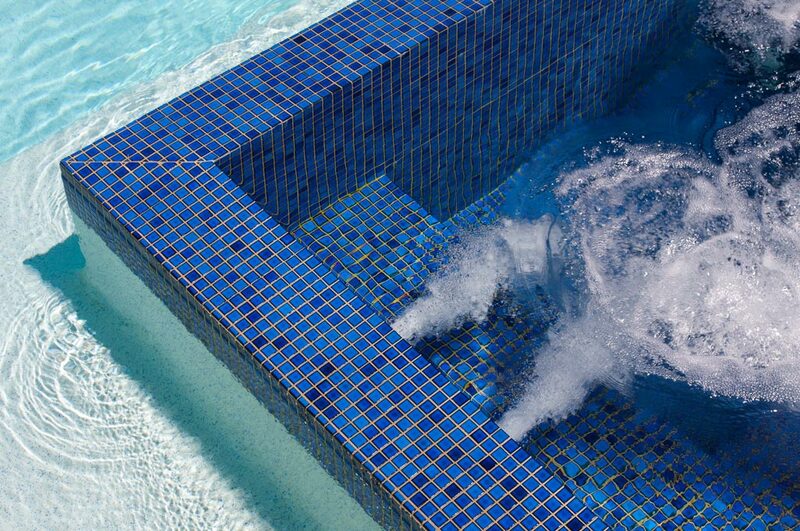 The full length ledge adds safety and flexibility for play down the whole side of the pool. 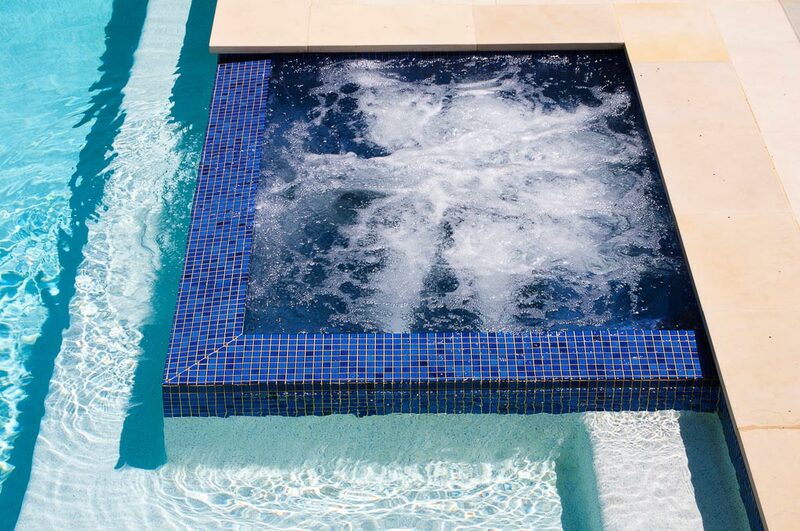 Extended walkways to the side of the spa balance the overall look and feel of the pool and were built as part of the entire pool structure providing a smooth look aesthetically with the addition of structural integrity. 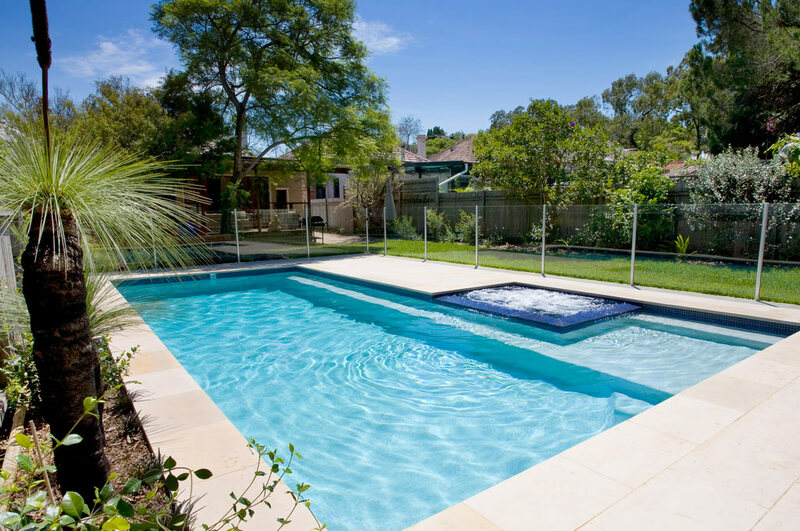 Semi-frameless glass fencing enhances the overall polished, clean and modern look.